Shown below is the upcoming entertainment at The Old Triangle Irish Alehouse in Halifax, Nova Scotia. Whilst we try to keep the musicians calendar as accurate as possible, some acts may be altered at short notice due to scheduling conflicts. If you have any questions please contact us at halifax@oldtriangle.com. Tristan Legg & The Mad Dogs are a fun and energetic band based in Halifax, Nova Scotia, Performing throughout the Maritimes (Old Triangle Moncton, Old Triangle Halifax, Old Triangle Sydney, Split Crow Halifax, Halifax Alehouse) these dogs know how to put on a show to remember. 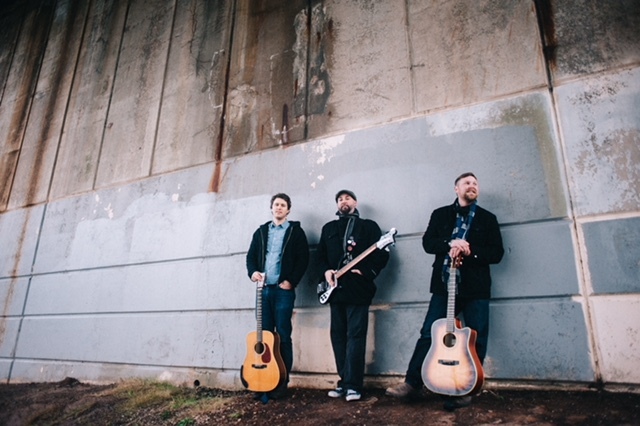 ​After playing over 200 shows in 2015 across the Atlantic Provinces (pubs, concerts, festivals, private functions, weddings and corporate functions), Tristan Legg & The Mad Dogs are well prepared to make your event special. Combining their musical backgrounds of blues, jazz, celtic, folk, country and rock, these dogs serve up a helping of tunes guaranteed to satisfy everyone’s musical hunger. Roger Stone is an accomplished Cape Breton musician, born and raised in Richmond County. 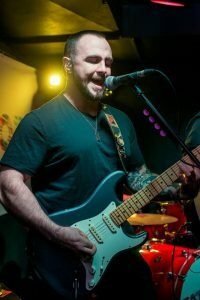 Currently a member of the long-established and much loved Nova Scotian band McGinty, Roger also enjoys a busy solo career and plays with a variety of other notable musicians. 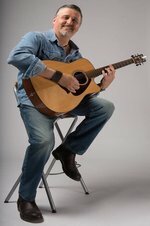 Known for his folk and traditional style of music, Roger has been a passionate teacher of banjo, guitar, mandolin, bass, percussion and voice for almost thirty years. He has been a contributing force and inspiration to the musical careers of well-known artists and his many students and his song writing skill is well known whether writing his own original material or in collaboration with others. 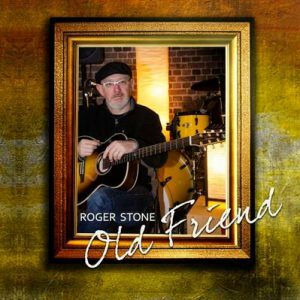 Roger’s latest album, Old Friend, was released last summer. Currently he’s working with the band on an album celebrating McGinty’s 40th anniversary. 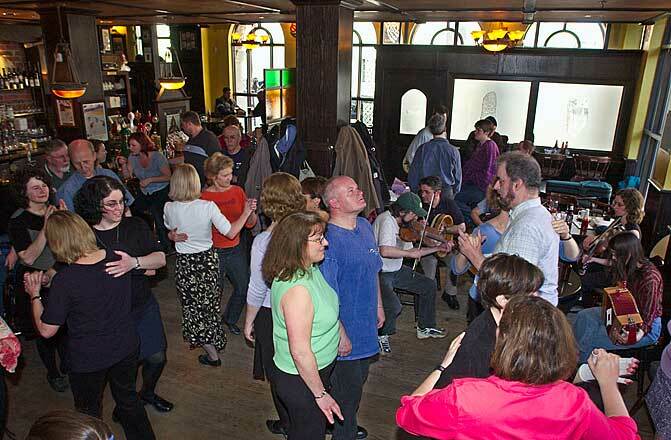 Join the dancers of Scalp na Cleiti (Toss the Feathers) every Sunday afternoon from 2-4pm as they demonstrate traditional Irish Dancing. Live music to dance is provided by fiddler Kevin Roach and friends. For more information on our dancers please visit Scalp na Cleiti for more information! Michael Lloyd, originally from Sydney Mines, NS, has been entertaining crowds and playing as a professional musician since the age of 14. As a young entertainer in the industry, he knew that he had to be versatile and quick on his feet which lead to many directions of influencers. Michael’s vocal and guitar style was heavily inspired by the classic / old country although his favourite guitar players were from 80s rock bands. Despite these influences, the first band that he was a long time part of was a Celtic band. Michael Lloyd has been both the frontman and sideman and continue to enjoy doing both of these. As a freelance/session musician, Michael has been able to play with some great artists such as Bruce Guthro, JoJo Mason, Jason Price and is an active member in a one of Halifax’s favourite cover bands, Merimac. When Michael performs as a frontman, he will take you on a musical journey which will include stories of his favourite songs and the experience a hearing 12-string acoustic guitar in a way you’ve never heard it before. Having over 300 songs in his repertoire, Michael is bound to please a crowd of any age. Putting a quarter in the jukebox has never been easier! With a captivating performance, Michael leaves the stage with you always wanting more. 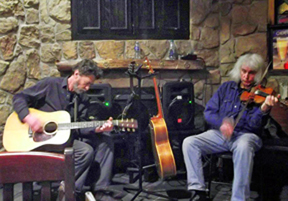 A fixture of the Halifax music scene, Dave & Louis are virtuosos of fiddle & guitar. They provide us with a weekly taste of Celtic instrumental music at its best. Roger Stone is an accomplished Cape Breton musician, born and raised in Richmond County. Currently a member of the long-established and much loved Nova Scotian band McGinty, Roger also enjoys a busy solo career and plays with a variety of other notable musicians. Known for his folk and traditional style of music, Roger has been a passionate teacher of banjo, guitar, mandolin, bass, percussion and voice for almost thirty years. He has been a contributing force and inspiration to the musical careers of well-known artists and his many students and his song writing skill is well known whether writing his own original material or in collaboration with others. Roger’s latest album, Old Friend, was released last summer. Currently he’s working with the band on an album celebrating McGinty’s 40th anniversary. Jordan LeBlanc took up the guitar at age 15 and started performing live by age 16. He has experience in many settings, including cover bands, original projects, acoustic duos, solo, and jazz band. 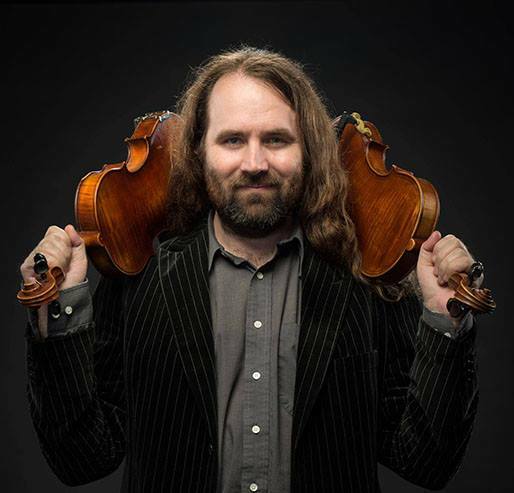 He has developed a diverse repertoire, comfortable stage presence and a keen ear for improvisation over the years, making him a great choice for live session work. Dave Goyetche is a well-known musical entity around Nova Scotia. In fact, on one night you may see him on his acoustic guitar in a one-man show or with his friend, Rob Filek, on percussion. Then on the next night he could be part of a rollicking group known as Blueberry Grunt, firing off Irish and maritime favorites as if he was part of a very large kitchen party. This well-rounded musical journey began at the age of four and he began playing seriously since the age of seven, balanced with doses of country music, rock n’ roll, Motown soul and funk How did he get so balanced in musical tastes? It began with his father who dad led bands in the 50’s to 70’s. The rehearsal hall was very close, the basement in the family home. Out of this immersion in various musical forms Dave became a multi-instrumentalist, playing guitars, bass, drums, piano, and more recently the Dobro,lap steel and mandolin. Dave has been performing in one form or another, throughout the Maritimes for close to 40 years. Dave is someone we have known since way back; actually since our days at Prince Andrew High School in Dartmouth in the late 70’s and early 80’s. Dave loves to entertain, playing multiple instruments including, bass, guitar, dobro, lap steel, mandolin and piano. 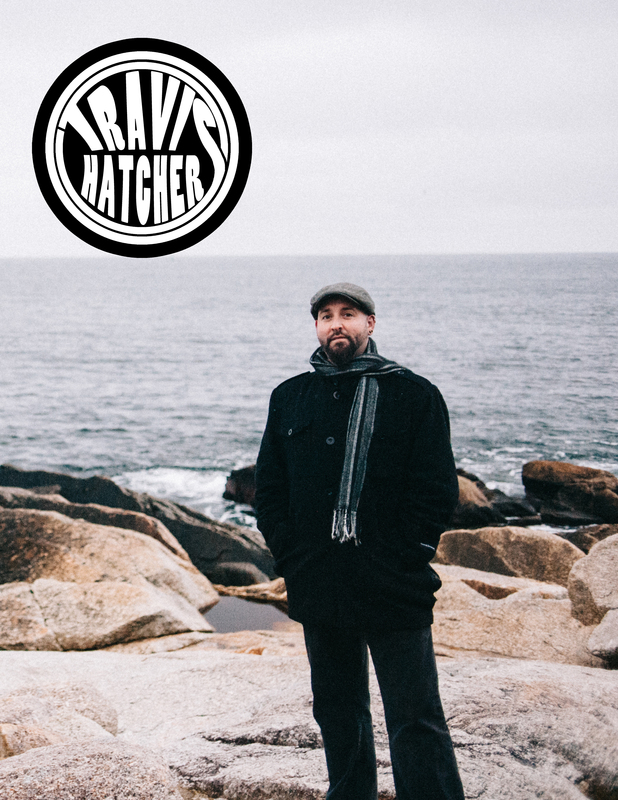 Travis Hatcher is a multi-instrumentalist based in Lawrencetown, Nova Scotia. 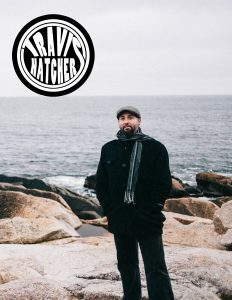 Hailing originally from Labrador, Travis Hatcher is a folk/rock musician with roots in Newfoundland and an eclectic musical taste giving him a unique approach to his song writing. Travis’ passionate vocal delivery is a staple in his performance and his lyrics have shown an innate ability for story telling – whether fiction or non. Travis’ songs are designed to ensnare the imagination and stir your emotions. 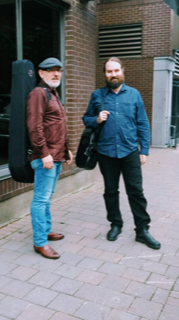 Travis not only writes and performs his own material, he travels the maritimes and plays favourites from yesterday and today and takes as many requests as he can to please listener’s from all walks of life. Travis released “Pieces” in August 2018 and it is an important marker in his solo career. “Pieces” comprises songs which have been written, performed solo and with bands, in the time between 2011 after his last release (“Pretty Fire”) and the recording of “Pieces”. “Pieces” is an audio reminder of the journey of many miles in the past 7-8 years of his life.